Raunch n Roll | WAYO 104.3FM Rochester, NY | Way out, right here. Join Donny Watkins as he spins music from the glory days of Rock N’ Roll. Glitter, guitar solos, high heel boots and more glitter. We're talkin' the sleaziest, greasiest, takin it easiest Rock N' Roll known to man. ITS ANOTHER EPISODE OF RAUNCH N' ROLL RADIO, YOUR HOME TO THE SLEAZIEST, GREASIEST, TAKIN' IT EASIEST ROCK N' ROLL KNOWN TO MAN! DYNAMIC EXPLOSIONS, MAKIN' LOVE BY THE REFRIGERATOR LIGHT, TELL ME WHATS WRONG WITH ME, YOU'VE BEEN SEARCHIN' SO LONG, AINT THAT RIGHT? SEARCH IS OVER. SHUT UP. THIS IS A LONG OVERDO AND VERY SPECIAL EDITION OF RAUNCH N' ROLL RADIO. ON THIS EPISODE WE HAVE THREE NOT SO SPECIAL GUESTS- JORGE ALVARADO, REGINALD BUNNY HOPKINS AND MY BROTHER JOHNNY. WE PLAY OUR FAVORITE RAUNCH N' ROLL RADIO HITS AND DISCUSS VERY IMPORTANT THINGS SUCH AS FOGHAT RVS, WHAT JUDAS PRIEST MEANS TO JOHNNY AND AN IN DEPTH LOOK IN BUNNY'S FANNY PACK COLLECTION. TUNE IN, SIT DOWN AND SHUT UP! TAKIN YOU OUT OF MY PILL BOX, HOWLIN' AT THE MOON, THE SLEAZIEST, GREASIEST, TAKIN IT EASIEST ROCK N' ROLL KNOWN TO MAN! Kicking out the jams, Hangin' around the studio, baby please don't go! It's Raunch N' Roll Radio! Your home for the sleaziest, greasiest, takin it easiest ROCK N' ROLL known to man! On This episode, we look at local Raunch N' Rollers old and new, from Armand Schaubroeck Steals to The Temptators. Other than that, it's the usual rock n' roll nonsense baby! Stick Around! 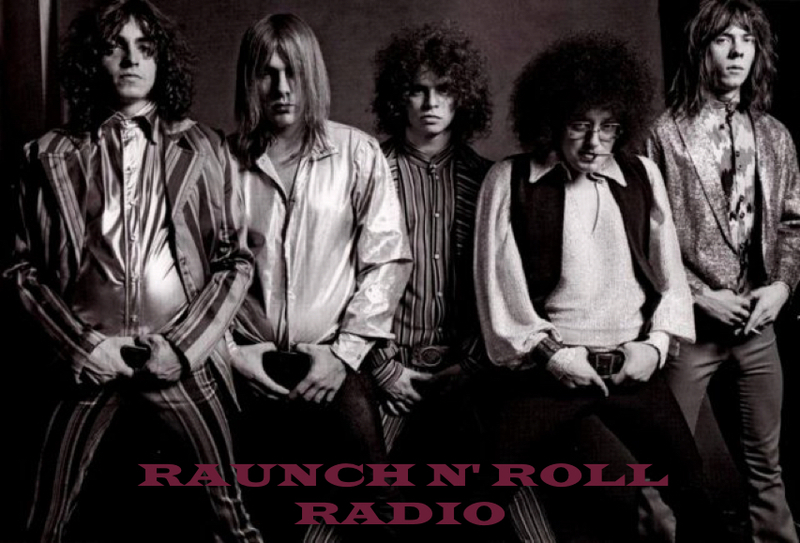 RAUNCH N' ROLL RADIO!!! EPISODE 5! THIS WEEK WE PLAY SONGS ABOUT CARS, FORGET TO TURN THE TURNTABLE ON AND WRAP UP OUR MONTH LONG LOOK AT PARCHMAN FARM BY MOSE ALLISON. STARTING NEXT WEEK WE WILL CONTINUE THE SAME SEGMENT, THIS TIME WITH THE SONG 'RACE BY THE DEVIL' ORIGINALLY WRITTEN AND PERFORMED BY GUN. ROCK 'N' ROLL NEVER SAYS DIE! THIS WEEK ON RAUNCH 'N' ROLL RADIO WE CONTINUE OUR LOOK INTO MOSE ALLISON'S PARCHMAN FARM AND THOSE THAT HAVE COVERED IT IN RAUNCH 'N' ROLL HISTORY, WE FEATURE BANDS FROM ROCHESTER,NY - UV RAYS, CHESTERFIELD KINGS AND ARMAND SCHAUBROECK STEALS. THE BAND OF THE WEEK IS BLACK SABBATH WHICH MEANS 4 SONGS IN A ROW, FOCUSING ON THE FIRST 4 RECORDS. WE WILL DO A SABBATH PART 2 LATER ON. KEEP IT SLEAZY, THANKS FOR LISTENING, AND SHUT UP! THE SLEAZIEST, GREASIEST, TAKIN' IT EASIEST ROCK 'N' ROLL KNOWN TO MAN!